I awoke today to find this very collection under the tree. Rather, they were assaulting the tree and my only course of action was to gather them all and pit them against one another in a scene not unlike this one. 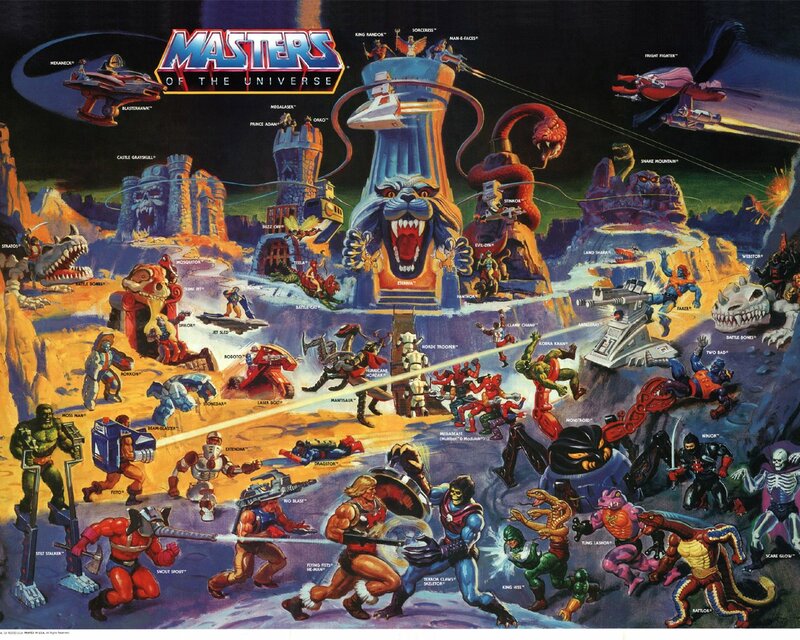 In truth, I did not receive any Masters of the Universe today, but I hope you’re all having a very merry Christmas. Even if you do not celebrate Christmas, pretend that you do, for I haven’t the means to understand your strange customs. As I type, I am in Louisville, KY, enjoying a brief respite from the harsh north while thumbing carefully through the first hardcover Creepy collection as visions of the wisps within dance about in my head. 2008 has been a banner year for the JLR, in that it started out really strongly and was quickly snuffed to a simmer, marinating the contents at a slow burn and cooking only enough content to feed the most malnourished of monks. Now that I’m properly settled, expect great things in 2009. Yes, great things from a great man!